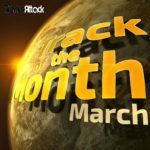 We are looking for the Track of the Month April 2018 and want you to vote! 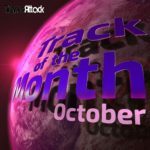 Let us know which tracks are your favorite releases of this month and which track should be aired as official Trance Attack Track Of The Month April 2018 in our upcoming show “Enter The Arena 075” with special guest Paul Thomas (aired on May 02nd 2018 via Trance World and on May 07th 2018 via Trance-Energy Radio). 2. 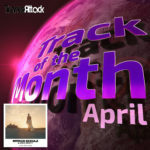 The track must have been released at least after March 26th 2018! 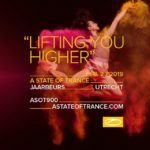 In the Trance Attack team we discussed our personal highlights of April 2018 and we nominated the following ten tracks. The voting ends on Sunday, April 29th 2018! What are your favorite tracks of April 2018? 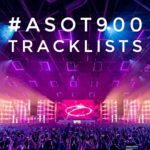 Tagged Alpha 9, Andrew Rayel, Anjunabeats, Armada Music, Armind Recordings, Ben Gold, Black Hole Recordings, Cosmic Gate, Enter The Arena, Estiva, Evan Kendricks, Fatum, Giuseppe Ottaviani, Graham Bell, High Contrast Recordings, In My Opinion, InHarmony Music, Jason Ross, Jochen Miller, Jonathan Mendelsohn, KhoMha, Ophelia Records, Orjan Nilsen, Paul Thomas, Rodg, Ruben De Ronde, Seven Lions, Spencer Brown, Super8 & Tab, Thea Riley, Track Of The Month, Wake Your Mind Records.